Great Britain captured their first Olympic showjumping gold medal in 60 years, winning a dramatic jump-off against the Netherlands. 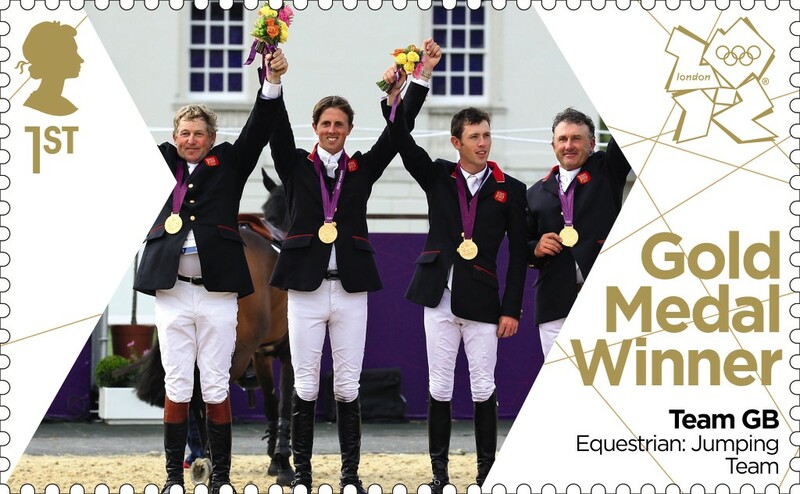 It was Britain's first Olympic showjumping medal since 1984 and their first gold since the Helsinki 1952 Games. The stamp shows the team of Nick Skelton, Ben Maher, Scott Brash and Peter Charles. 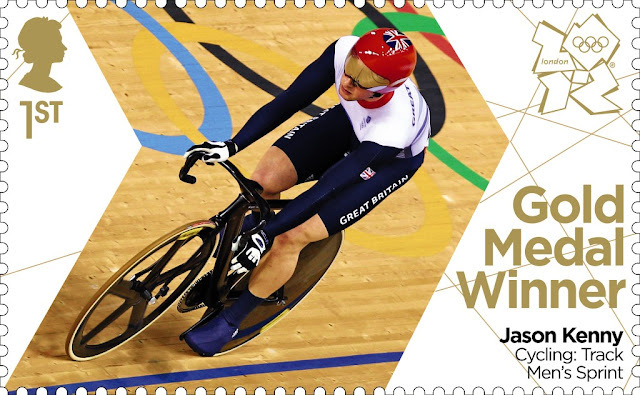 Jason Kenny gained his second gold of the games with a win in the cycling men's sprint. 18 GOLD MEDALS = 18 GMW Minature sheets x 6 printing locations..... has anyone obtained and compared the stamps for flaws, miss-prints errors etc by comparing stamps from the different printers?. So-far, the only common variation is on the bottom mini-sheet which gives the PRINTER location in the LH margin. Correct me if I am wrong... The GMW sheets are a limited edition of 500 sheets of each gold medal winner per printer location. Most post offices are likely to separate the 4 mini sheets so full sheets will be scarce. I can't correct you as Royal Mail have made no announcement - and never do tell us how many stamps are printed or sold. Some POs have separated into 4 mini-sheets, but others have been educated by collectors who want A4 sheets. Dealers have been able to pre-order from Edinburgh for all 6 locations. These will be delivered as A4 sheets, and I fully expect that there will be many more than 500 from each for each medal sold overall. .....and of course, the BAR-CODE on the 3rd mini-sheet down, is different for each GMW stamp.